How much latitude does an architect have when considering how best to integrate the ITER buildings into the surrounding landscape? Not a lot, says architect Simon Pallubicki—a partner at ENIA, the firm chosen in 2009 to work on the exterior architecture of the ITER installation. Changing the buildings' morphology was out of the question, since each building's height, footprint, volume and organization was already pre-determined by the processes it harbours. How about painting the buildings with colour? Possible, but risky: what blends nicely into the environment at noon under a bright summer sun may look dull and depressing under the cold November rain. "We faced an interesting problem," admits Simon. 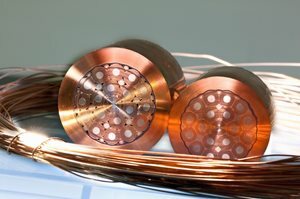 "The buildings on the ITER platform are extremely heterogeneous in terms of functionality, size and construction mode; commonly used architectural parameters like regularity and alignment are absent." The architects at ENIA, a Parisian firm specialized in multiple architectural domains, were presented with a double challenge—how to lend unity to apparent architectural disorder and how to integrate the project harmoniously into its surroundings. The solution they chose was daring but restrained. All buildings, with the exception of the Control Building, will be covered in alternating cladding of mirror-like stainless steel and grey-lacquered metal. The proportion between the mirror-like and lacquered surfaces will vary according to facade orientation: 80 percent mirror on the east/west facades and 80 percent lacquer on the north/south facades. For the Control Building in the northwest corner of the platform—the "brain" of the installation—the choice was made to clad the building entirely in polished stainless steel. The architectural choices made for the cladding materials will allow the scientific installation to "meld" into its natural environment, with the buildings picking up hues of the passing seasons and blending poetically into their surroundings. The polished, mirror-like stainless steel also expresses, according to ENIA, "the precision of the research work being performed inside of the buildings." Because architecture is as much about functionality as it is about aesthetics, the metal cladding will also enhance the insulation qualities of the buildings' "skin." While they were working on the architectural project, Simon Pallubicki and his colleagues spent a lot of time hiking and driving around the site. "We did a lot of reconnaissance work, sometimes nearby, sometimes as far as 40-50 kilometres from the platform to evaluate the visual impact of the installation that will reach 60 metres at its highest point." The temptation to create a stand-alone work of architecture was high, according to the architects. 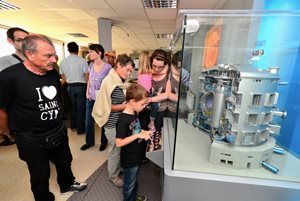 But ITER isn't an isolated facility—it's part of the Durance River industrial landscape and, as such, should engage in a dialogue with its physical and human environment. 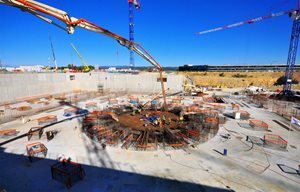 The ITER scientific facilities, say the ENIA architects, "should settle deep into the consciousness of the neighbourhood population and should leave a positive mark on local and regional history." Their choice of polished facades, reflecting the ever-changing shades of skylight and seasons, will express what is at stake in ITER: the perspective of harnessing an unlimited, universally available and environmentally respectful energy source.